If you’re someone who has a credit score below 600, you will have a hard time finding lenders who will approve you for personal and/or business loans. The good news is, you have plenty of opportunities to improve your credit score over time. Increasing your score may take a few months, but once you are at a score your comfortable with you will feel a huge weight lift off your shoulders. Fortunately, it’s not difficult to improve your score. Make a change and set a budget that fits your income. Of course, the most important part is to stick to it. Make a list of all the expenses you have and the amount you will spend on them. Many times you spend less overall just by creating a budget for yourself. Tracking every dollar you spend for a short period of time will educate you on where your money is going. It will open your eyes as to how spending even small amounts of money adds up over time and may require credit repair services. Tracking your money will also identify areas of spending that may otherwise go unnoticed. Track your spending for a full month using a free online software service like www.Mint.com, or an Excel spreadsheet or notepad. Knowing that you’re tracking spending can provide you with valuable information about your spending patterns, and may reduce your spending. In addition to setting your budget, make a list of the fixed expenses (ie – rent) and variable expenses (ie – clothes) you need to buy for the next couple of months. Include all your expenses on your list. Take the list with you when you go out to help you stay focused and avoid impulse purchases. The rule of thumb should be that you never use more on your credit card than you can pay off in full that month. Many people will see something on sale that they really want but don’t have the cash for. They use a credit card and then pay interest on the balance because they can’t pay it off. Now that “sale” item probably cost more than full price. It never helps your credit score to carry a balance, so why pay interest? It’s better to hold off until you know you have the cash in hand to purchase that item and save your credit limit for emergencies. Plus, doesn’t it feel more rewarding when you’ve saved up and earned that item, rather than making an impulse buy and having debt regrets later? You need credit accounts to be reporting to your credit report in order to improve your credit score. You must have at least 1 open revolving account, even if you have no negative accounts. In addition, this revolving credit account must have been used in the last 6 months. There are a couple of ways to get credit to improve your credit score in 30 days. One way is opening a secured credit card, with a preference being given to a card that reports as an unsecured card with your credit limit to all 3 bureaus. The other way is to add yourself to a seasoned trade line. Someone with good credit history can add you as a co-signer, where you are equally responsible for all debt. Or, they can add you as an authorized user, where you are not responsible for any of the debt – and Mortgage FICO 5 will count the history as yours. Removing a late payment will take persistence. There are a couple of ways to request a removal. The most common and effective way is to call the original creditor and ask for a goodwill adjustment. If they resist, you can even negotiate the removal of the late payment by agreeing to sign up for automatic payments. For other late payments, you can file a dispute against the late payment for inaccuracy. If you have an issue with lenders reporting you a day or two late, call them to see if they can change your on-time payment. This could be offered to you if you are not a frequent offender. The other option is to remove a late payment. You can try to file a dispute against the payment for inaccuracy. You can also call the original creditor and ask for a goodwill adjustment. If they do not allow you to add the adjustment you can negotiate by asking for automatic payments. This will show your interest in keeping up with monthly payments. The good thing is that the impact of past credit issues fades as time passes. Try to keep up with good payment patterns so your report will show you are handling your credit well. Call your credit card companies and request a raise to your credit limits. 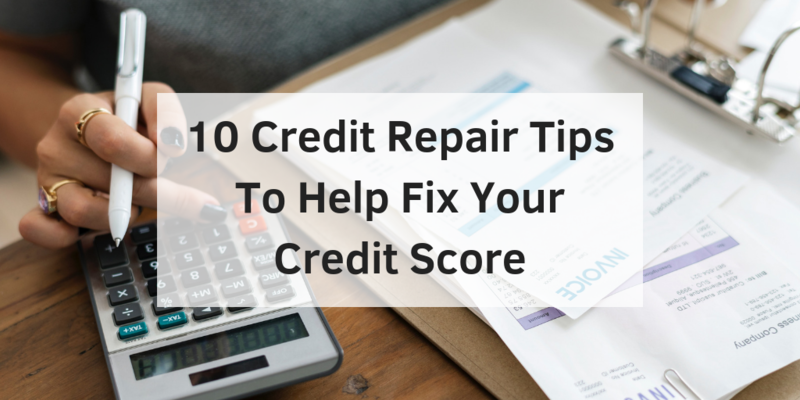 Ask if they can raise your credit limit with a soft pull of your credit since a hard inquiry will appear under the “New Credit” category of your FICO score. If you can negotiate an increase of your credit limit with a soft inquiry, then you will instantly decrease your revolving balance ratio (revolving balance divided by your credit card limits). Another easy way to build credit fast is to ask someone to be an authorized user on their credit card. When asking someone to add you as a user you can tell them that authorized-user cards do not require a credit inquiry, which means their credit score will not offer. If that person trusts you, you can ask to be authorized on multiple accounts. Make sure these accounts have the highest credit limits if you want to increase your credit score the most. ← Do Credit Repair Companies Work?